In a vibrant development of the real estate market, “Chon mat gui vang” (meaning: try before you trust) a prestigious project is the concern of many customers. With STARLAKE urban, a project located at western of West Lake, you and your family will have chance to experience a high quality of living & working space right in the center of Hanoi. Starlake project was being invested & constructed by Daewoo E&C, one of Korea’s largest construction developers, with nearly 50 years of experience building house. With high prestige and strong financial, the progress of the project is always in guaranteed. At the 1st phase of Starlake urban, 364 unit of villas, terrace houses and shop houses have been built & handed over in the end of 2017 (almost 90%). The highlight point of Starlake project is location. Considered as the “Last golden place” in Hanoi, developed by reputable foreign investors Daewoo E&C. 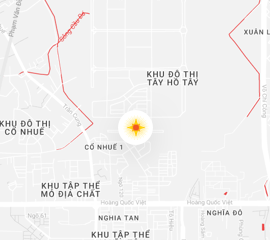 Starlake project become the new administrative center of Hanoi. Therefore, construction density only takes 16% in total the land area. With a low density of housing, Starlake bring in the most modern and synchronous infrastructure like: green parks, international schools, high class hotels, grade A offices, central areas, entertainment center, sports center… with the best care services following to Korean standards design. 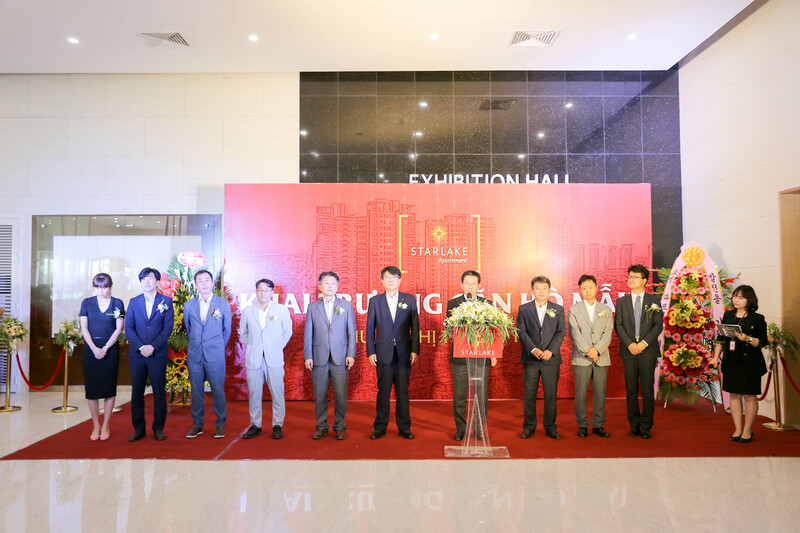 Following the success of the first phase, Starlake is proud to bring the first high-end apartment building in Tay Ho Tay. In the context of the market with high supply of high-rise products, customers seem to be struggling by the design products, construction density, the same infrastructure. Starlake will bring to customers a distinct difference because of its stylish design and Korean style. Towards the satisfaction of residents with a green living environment, Starlake apartment is designed in harmony with nature, trees, lawns, walkways and common areas like: swimming pool, tennis yard… serving customer both in physically and mentally. More than that, Starlake apartment really became the “real home” for each family. The rental potential is also one of the attraction of Starlake apartment in particular and Starlake in general. The project is a gathering of 25 Grade A office buildings and 8 government departments on the project starting in 2018. Starlake apartment building is now under construction, officially launched model house and started to welcome visitors from 22/05/2018, promises to bring out an ideal place to invest or settle for customers.